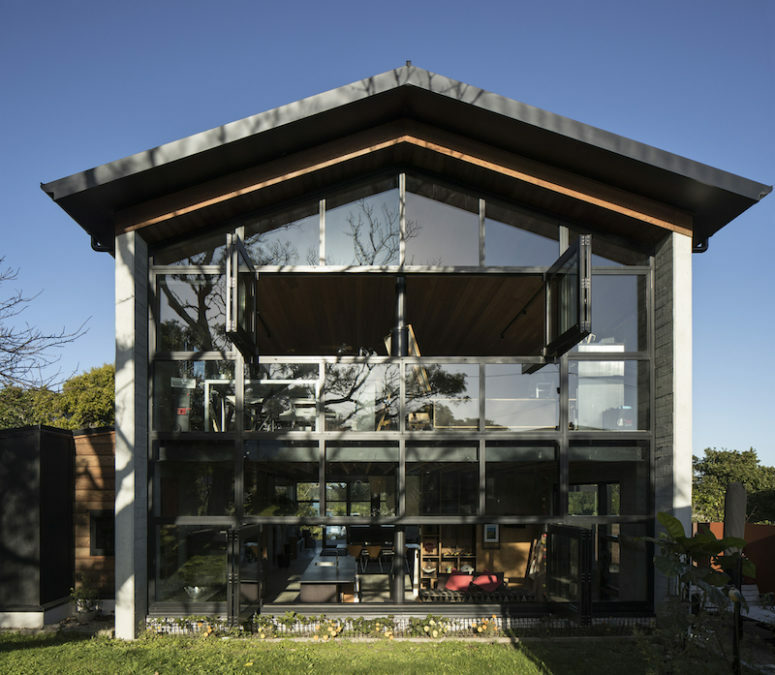 This house by Vaughn McQuarrie in New Zealand which is structured like a tiny village. It has a large double-height space at its center and several single-story areas organized around it. There are also two mezzanine platforms and a side lane which brings the house closer to an old stone wall found on the adjacent property. There’s a really nice dynamic in and around the house. In total, there are 247 square meters of living space. The house is open to the surroundings at either end. 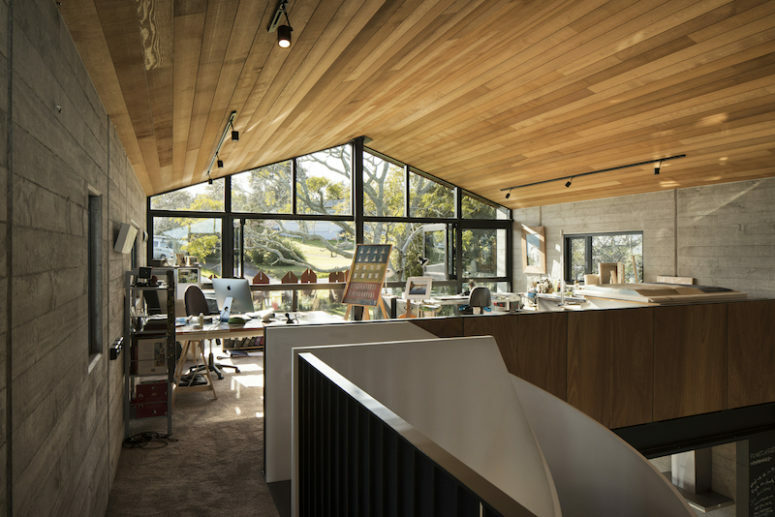 It has fully glazed facades which let in lots of natural light and expose the internal spaces to the views. 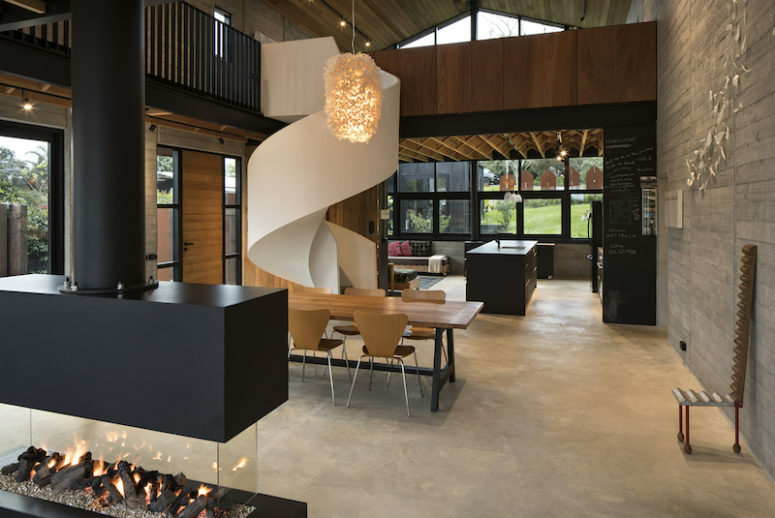 The helical staircase is not just a functional element in the design of the house but also a sculptural feature which increases its visual appeal and overall elegance while remaining space-efficient. 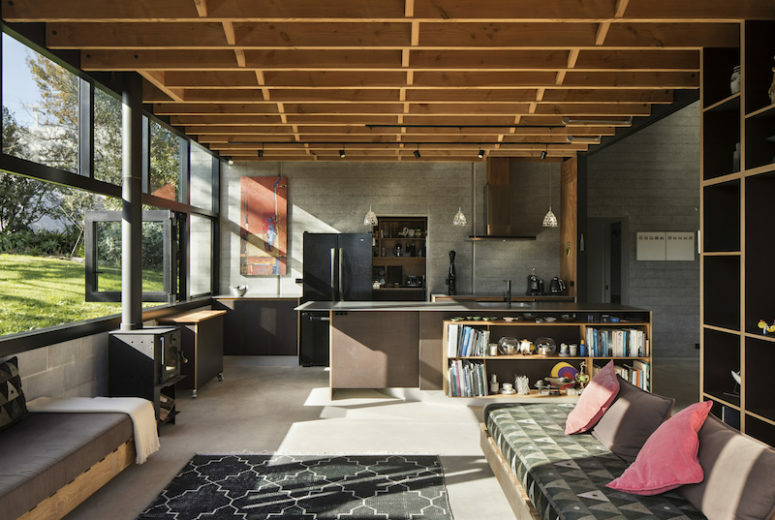 The central space at the core of the house is the social zone where family and guests gather together around the fireplace and enjoy the cozy ambiance and admire the views. The walls are made of precast concrete panels and the beams are made of steel. 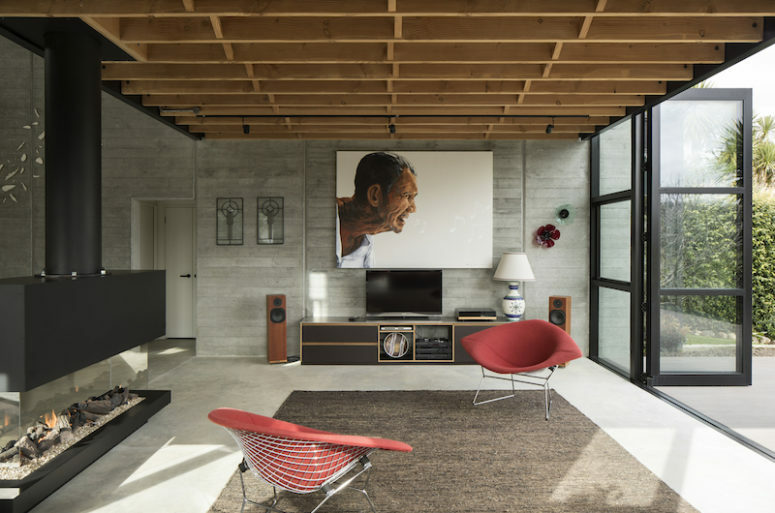 The polished concrete floors are balanced out by the wooden ceilings and room dividers. The occasional accent color brightens up the decor and ties everything together in a harmonious way. 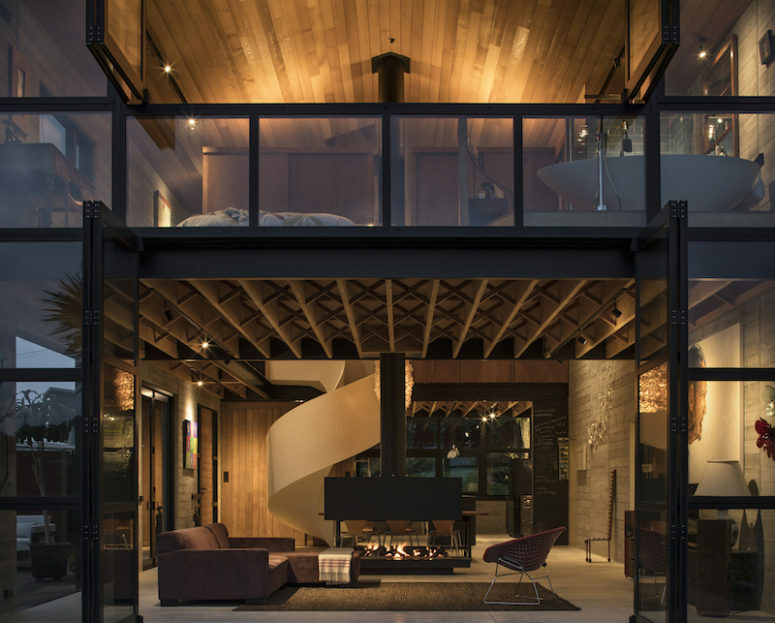 The two mezzanine platforms are linked by a walkway which runs along the side of the house. 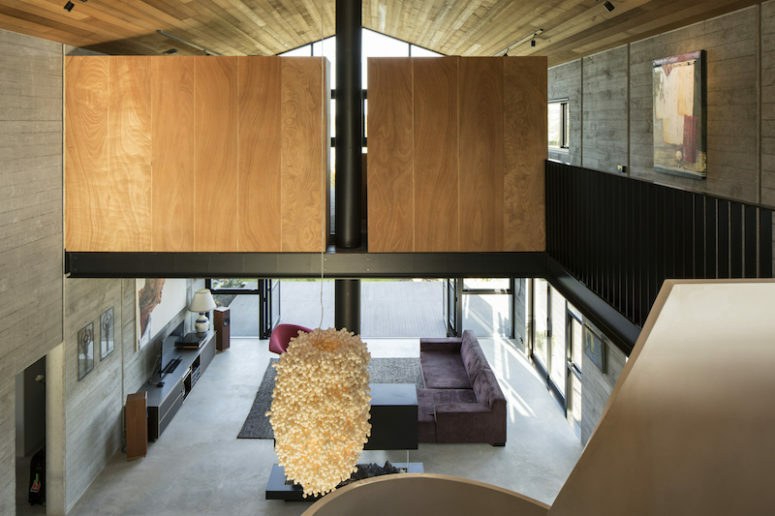 They remain separate, each featuring its own structure and decor. The sleeping area is cozy and has an en-suite bathroom. 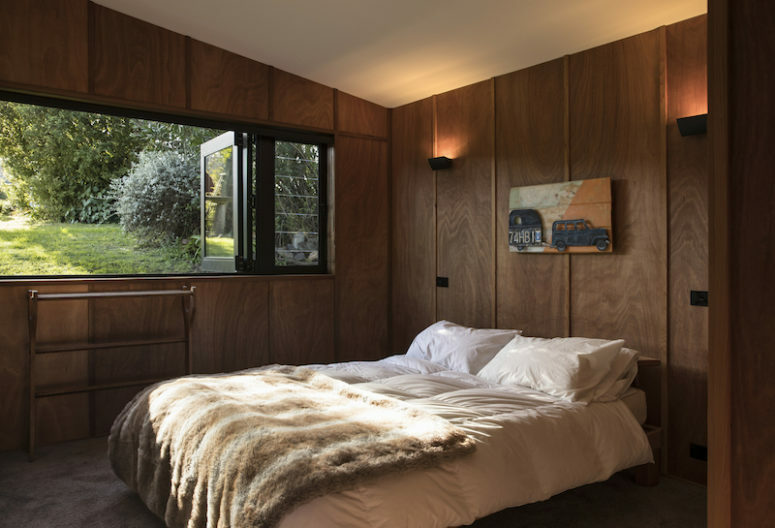 Wooden dividers frame the bed and delineate it from the bath while also ensuring privacy. The guest bedroom which is on the ground floor is very cozy as well and it too has a nice view of the garden. The workspace/ home office occupies the other mezzanine platform. It’s an open space with a great view of the surroundings.